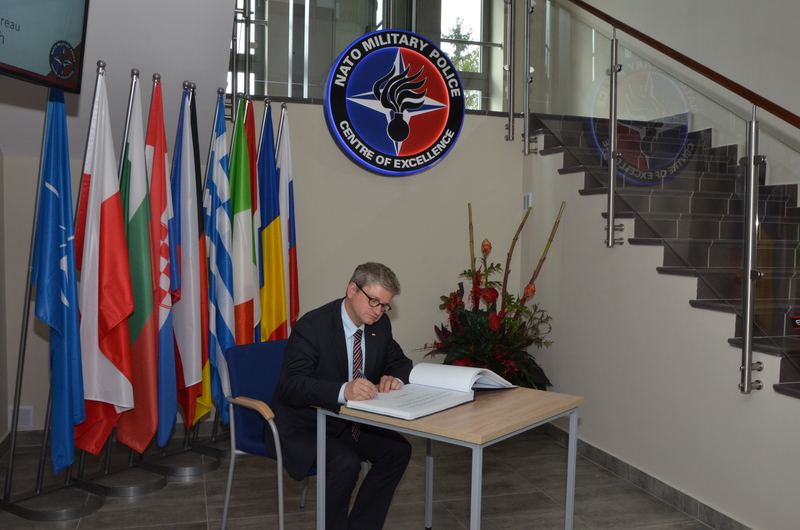 On 29 SEPTEMBER 2016, Head of the National Security Bureau, Minister Paweł SOLOCH paid an official visit to the NATO MP COE. He was accompanied by the military and civilian personnel. The Director of the NATO Military Police Centre of Excellence (NATO MP COE) presented essential information about the role and capabilities of the Centre to the Secretary of State, Paweł SOLOCH and explained the key challenges for 2017. The delegation consisted of high-ranking officials, amongst which there were: the Head of the National Security Bureau, Minister Paweł SOLOCH; Director of the Armed Forces Supervision Department BG Jarosław KRASZEWSKI; Head of Department of Strategic Analyses Przemysław PACUŁA and Chief of the Operational Group, COL Waldemar KOZICKI . Minister SOLOCH expressed a particular interest in the challenges and new tasks for the Centre in 2017. 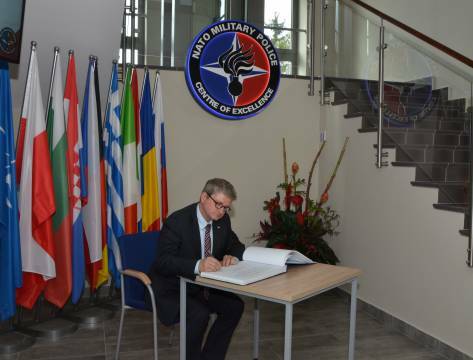 Since the NATO MP COE is currently undergoing the Quality Assurance process and awaits an ACT’s visit at the beginning of October, the importance and consequences of this NATO procedure was further elaborated on to the Secretary of State. The visit proves the growing importance of the Centre for the Polish government, and it underscores the Polish engagement in providing support to NATO and PfP. If you do not want cookies to be saved on your disk, change your browser settings.